The Clements Worldwide Risk Index Summer/ Fall 2016 Edition is out. Business interruption jumped to the top risk for global organizations. 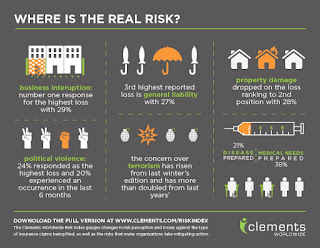 You can access the full report at www.clements.com/riskindex and compare the results with your organization's losses and top concerns.